since 06/2016 Junior group leader and Habilitand at the Martin-Luther-Universität Halle–Wittenberg in the group of Prof. Daniel Sebastiani. 01/2014 – 06/2016 Postdoc at the Helmholtz-Zentrum für Umweltforschung Leipzig in the group of Prof. Gerrit Schüürmann. since 10/2009 Diploma studies of mathematics at the University of Leipzig. 04/2014 Received PhD degree ("Dr. rer. nat.") at the University of Leipzig. 01/2013 – 12/2013 PhD student at the University of Bonn in the group of Prof. Barbara Kirchner. 10/2009 – 12/2012 PhD student at the University of Leipzig in the group of Prof. Barbara Kirchner. 05/2009 – 09/2009 Master&apos;s thesis at the University of Leipzig. 10/2007 – 09/2009 Master studies of chemistry at the University of Leipzig. 02/2007 – 04/2007 Bachelor&apos;s thesis at the University of Toronto (Canada) in the group of Prof. Mark Lautens. 10/2004 – 07/2007 Bachelor studies of chemistry at the University of Leipzig. since 01/2017 DFG research grant ("Eigene Stelle" + 1 PhD student, BR 5494/1-1). 10/2009 – 04/2014 Funding of PhD position from the BuildMoNa Graduate School. 02/2007 – 04/2007 Travel scholarship for Toronto (Canada) of the German Academic Exchange Service (DAAD, "Deutscher Akademischer Austauschdienst"). 10/2004 – 09/2009 Scholarship of the German Academic Scholarship Foundation ("Studienstiftung des Deutschen Volkes"). 12/2011 BuildMoNa Award "Outstanding Scientific Results" (1500 €). 2006 Award "Besondere Leistung in der Vordiplomprüfung" (1 year free membership in the German Chemical Society, GDCh). 10/2004 – 09/2009 Membership in the German Academic Scholarship Foundation ("Studienstiftung des Deutschen Volkes"). 07/2004 Gold medal at the 36th International Chemistry Olympiad (IChO). 05/2019 118th Bunsentagung, Jena, Germany. 04/2019 Chirality in Industry: Integrated Solutions for Vibrational Circular Dichroism, Leiden, Netherlands. 08/2017 53rd Symposium on Theoretical Chemistry (STC), Basel, Switzerland. 11/2015 European Conference on Computational Nanotoxicology (CompNanoTox), Malaga, Spain. 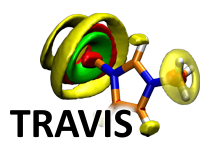 03/2013 ProcessNet Molecular Modeling Conference, Frankfurt (Main), Germany. 11/2011 7th German Conference on Chemoinformatics (GCC), Goslar, Germany.